Our staff is such an important part of your child’s learning experience. It is vital to us that we employ only the kindest, most gentle people, whose first passion is children. Experience and a warm, loving personality are just two of the attributes necessary when being considered for any position at Imagine Nation Learning Center. We pride ourselves in maintaining an educated, positive, and caring staff. We believe in treating our staff as peers, and attribute Imagine Nations’ success to these qualified individuals. Lead teachers, assistant teachers, and administration staff, all take part in implementing a developmentally appropriate, non-biased, multi-cultural environment and curriculum for each child. We are extremely proud of our excellent staff of teachers and directors. Every Imagine Nation staff member is professionally trained, highly qualified, experienced and passionately committed to you and your children. All of our teachers and personnel are trained in First Aid/CPR, Infectious Disease Control, Injury Prevention, and Child Abuse Awareness. In addition our staff receives training in curriculum, child development, classroom management, age appropriate activities, nutrition, and OSHA regulations to provide a quality learning environment. We are committed to working and communicating with our parents. Our goal is to build a strong relationship between the parent, child and teacher. With that in mind, we keep our parents up-to-date with daily face-to-face conversations, family communication board, parent and teacher conferences, newsletters, email, progress reports, and more. At your convenience, we will be happy to meet with you and discuss your child’s progress. Our teachers are eager to understand your needs and actively listen to your suggestions. We work with you to support your child’s growth and development. Imagine Nation welcomes you to become a part of your child’s classroom! We have many opportunities throughout the school year for special guests, items needed for special projects, storyteller volunteers, Classroom party helpers etc. Our staff will keep you informed on upcoming events in the classroom so that you may share those moments with your child. Call us at 1-877-254-3966 or Click to Learn More! At Imagine Nation Learning Center we believe it is important to involve our families in their child’s education. 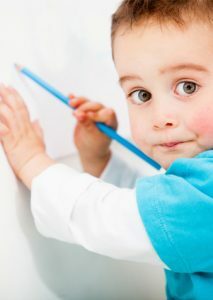 The early years are the most critical and impressionable time in a child’s life. It is important to ensure the experiences during this time have a positive lasting impression on both the child and family. Copyright 2019 Imagine Nation Learning Center All Rights Reserved.